Parkin?? Until today, I had only vaguely heard of it and didn’t really know what it was or it’s origins. 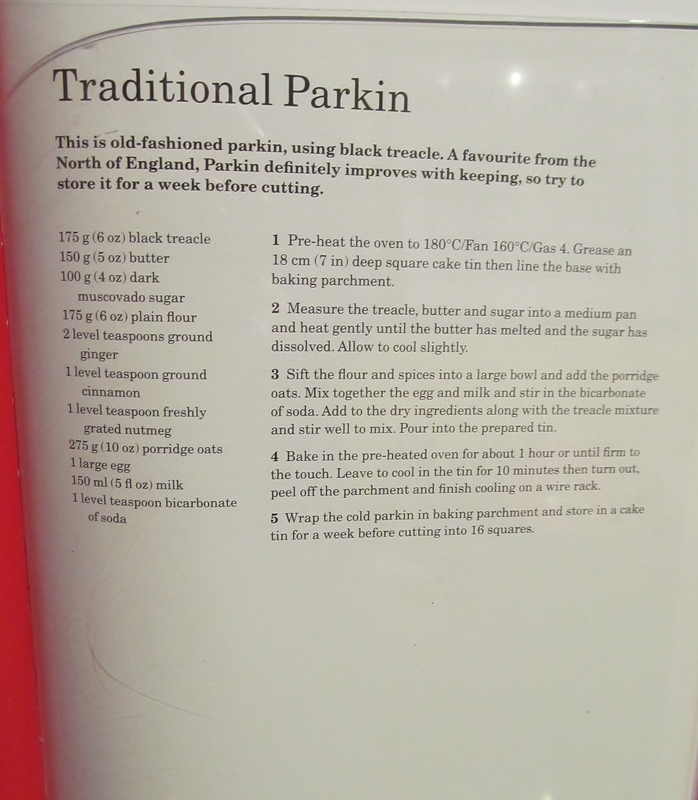 According to Mary Berry’s Baking Bible, it is ” a favourite from the North of England“……this got me curious so I tried to dig a little further into the history of this gingerbread type of cake. So , with Mary’s recipe in mind, I melted the butter with the black treacle and dark sugar. I had put the dry ingredients of flour, spices and porridge oats in a bowl and in a jug had the milk, egg and bicarbonate of soda. Once the butter and treacle had dissolved the sugar, I let it cool and then mixed all the ingredients together. Into the prepared tin it went and into the oven for an hour. My dogs were hanging around drooling, like they always do when I am baking but they were out of luck , no drips, no bowl to lick as they have both put weight on and need to watch their waist lines!! PING went the timer after an hour and I took the parkin out, it was dark and firm (!) and I left it in it’s tin for Mary’s recommended 10 minutes, then put it on the cooling rack. When it was cool, I cut it into squares and have put it away for a week as apparently it will be much nicer…..according to Mary! Although it’s not November, as is traditional, it’s bloomin’ cold outside, we have coal in our fuel burner and the dogs are laying on their bed in front of it- I think that qualifies! This entry was posted in Kim's cake challenge and tagged Baking Bible, black treacle, Flour, Guy Fawkes, kims cake challenge, Lancashire, Leeds, Mary, Mary Berry, Parkin, Porridge, porridge oats, Yorkshire by kimsideas. Bookmark the permalink. Hi Sue and many thanks for both liking our posting and following our blog. I hope us “Southerners” haven’t offended by saying we didn’t have a scooby doo what Parkin cake was… LOL. Well it’s sitting “maturing” so hopefully we can do the taste test next week. Canada is somewhere I’d really love to visit.I have a fair few friends there, so one day, perhaps. I lived in France for many years, so I know what you mean about that home-from-homesickness. After the parkin, next stop Yorkshire curd tarts? I am new to the English traditional baking treats. Thought that I would make my husband very happy and proud by baking him a parkin. Got excited about the Mary Berry Parkin but dissapointed five days later, still very dry? Porridge oats and flour ratio does not seem correct. I followed the recipe straight from Mary’s book and it didn’t go well. We hated it, I have never made it again. Loved pretty much all the other recipes but not this one. I agree. I followed Mary’s recipe exactly and found it very, very dry after a 6-day sit. 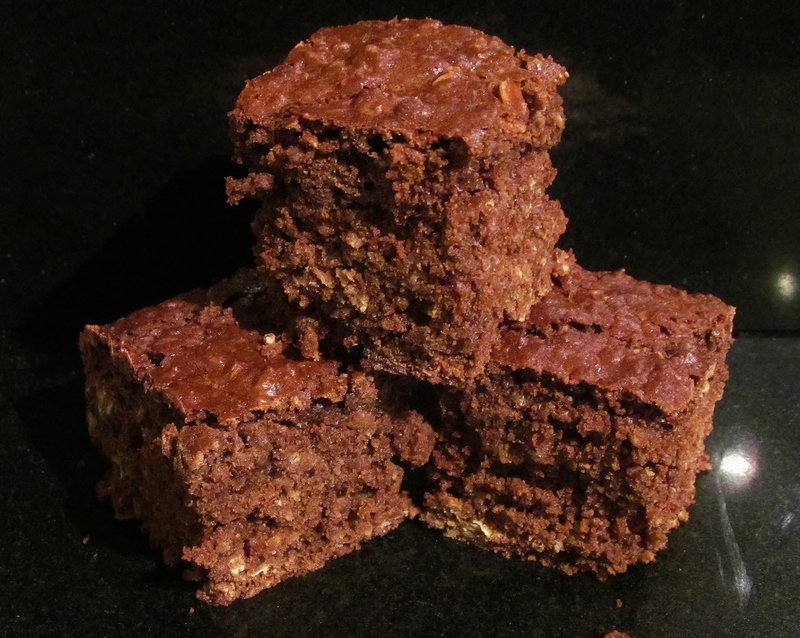 I’m going to try again with less oats and/or flour, because the flavor was very good… just too, too dry!